I'm always happy when I accomplish a lot of things in a day. My day has not ended yet I still have few hours before I go to bed. Before I usually get stuck by this web once I start my day checking my emails, facebook and blogsites. But ever since I started school I got things in control... partly. I'm still having a hard time but I know I'm getting there. I'm glad that my passion for Korean dramas, Korean artist are not that as horrible as it was before. I still like them. But spending my entire day with that is wrong. I've been praying about this. I know my mouth is saying "help me overcome this, help me give it all to You" but my heart is half hearted about it. I felt wrong to do that but I know my God knows my struggle. He knows my heart, and what I can is to be honest about everything. I told Him before that I can't surrender it in one go but help me still. I know that my fangirling went down because He helped me :D.
My best friend has been encouraging me to watch animes. But now I get hook with shoujo mangas... I've read a couple but some are not so good and I know I shouldn't have read them. 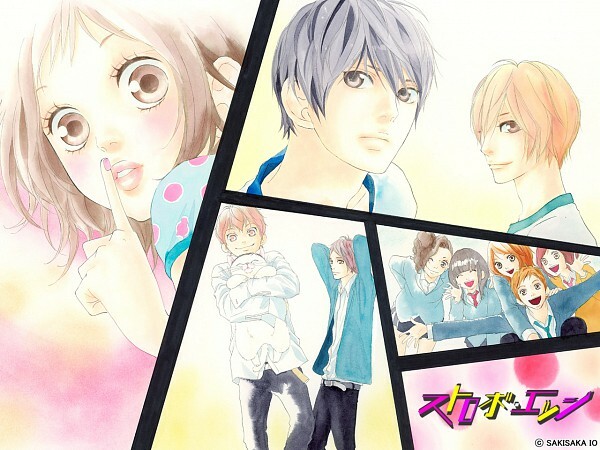 But mangas like Kimi Ni Todoke, Strobe Edge, Dengeki Daisy, KouKou debut are fine :D.. Hiyokoi is something I want to start reading too. I really need to be careful on what I read. 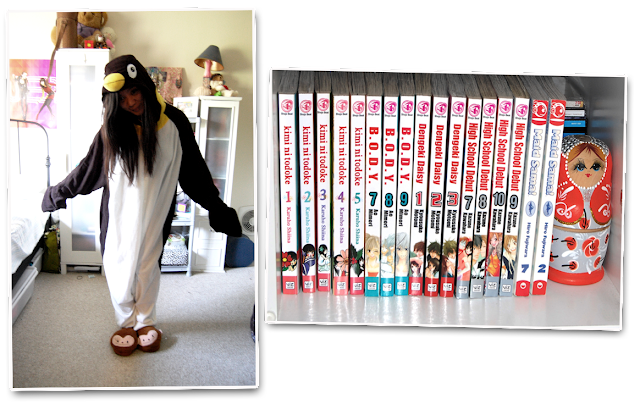 I want something that is close to these mangas. Not just romantic comedy but it involves friendship and involves a lot of thinking...maybe :D... less romance maybe too. Ow and my sister brought animal pjs for my birthday. it's one week early but I'm still happy! too bad can't use it often because it's spring time already. hehehe... Still... Thanks sister dearest!